I have started using weblogs with one of my Audio Visual English groups (Class Blog http:realpro.blogspot.com). this is a pre-intermediate group studying cinema/theatre/TV Production/Direction courses. There are 21 students in class and I took them to one of the computer classrooms last Friday. 1) I asked them to go to the class blog site and take a look at the links in the latest post. After they'd had a look at these two blogs (one class blog / one individual blog about films) I told them that they were going to set up their own weblog. There were some queries: i) What was the reason for doing so, and ii) what a blog actually was. My answers to them were i) to practise writing in English in a new, fun way and ii) a personal journal / diary. some of the students understood the concept thinking of it as a kind of personal 'forum'. Anyway, I asked them to go to Blogger and took them orally through setting up a weblog. Some of them were much faster than others, but all of them paid attention because I told them it was going to form part of their first class assignment. They set up individyual (student) weblogs and after writing their first post, they opened another browser window to check their efforts. Then I asked them to go to settings and invite me, and at least one other classmate to their blog. Then, the students who were quicker than the others were asked to post to check their invites and post to their classmates' blogs. I have decided to use weblogs with my audio visual English groups this year, especially as we have been encouraged to take them into the computer room for classes. I want to follow a similar system as Bee has with her students (see side-bar link) , but instead of a class blog, I think I'm going to run a tutor blog. I am going to ask the learners to set up student blogs (which will also be part of their evaluation) and invite me to them That way, I can set up a dialogue with them. With this system, I'm even thinking of abandoning the coursebook (at least with one of the groups), in the best Dogme fashion, especially as coursebooks are generally received very negatively by these groups. Perhaps using weblogs could be a way of 'getting the students to write their own coursebooks' - I will certainly try to encourage student-generated materials, (using weblogs) this year whatever else I decide to do. I have had a few snags getting them all registered to Blogger, and I thought I'd record them here for reference. I set up the blog some time ago, and at our first session, took a list of their e-mails. Of course, sometimes it was difficult to interpret their handwriting (why don't people write clearly when they print their e-mail address!) and not all of the students got my invitation. b) Failure - The account showed no link to the class blog. Going back to the e-mail invitation and following it once more, but this time signing in changed this for most of these students. c) Failure. As above, but the only way to get the class blog to show in their account was to resend the invitation and get them to follow the link again, this time signing in. My Comments: If you want to create your own weblog, this is probably the easiest place to start. "From my experience it does seem hard to reap the benefits of personal webpublishing within a short timeframe. It easily took me four months to integrate myself into the network - and I spent a lot of that time in the blogosphere, something a time-pressured student is unlikely to be able or willing do. Most people who kept personal Webpublishing projects (Weblogs, Wikis, etc.) running for months and years can report how certain qualities and benefits only emerged over time. They remember how they were basically talking to themselves at the beginning, how they found a small circle of like -minded authors, how this circle grew through chance meetings and focused search, how their readership grew and got more diverse, and so on." My comments: Tutor blog for undergraduates of English, with links to learner blogs. "Teaching is a humbling profession. Sometimes it is a matter of laying material in a careful, efficient, linear pattern. Bricking a smooth path for them to tread. Then it seems a craft. Other times it's casting scratch before chickens. " 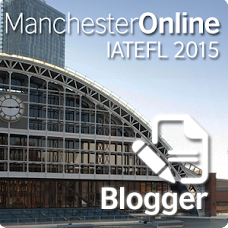 My comments: Teacher reflections on teaching, including on using weblogs with his students. "I really like the idea of 'self-publishing' as a writing/literature class experience. I just read someone who coigned the term, and I haven't given it a lot of thought, but it seems to get at what I think I want from weblogs. Without having used weblogs in the classroom yet, I have this feeling that they will facilitate more 'immersion' in the writing process. How will students feel about this publishing? It will certainly make the publishing part of the writing process more real. Publishing to date has been little more than sharing with a writing group or the whole class (which is not insignificant), but it has not facilitated the interaction about writing that I hope for." "Weblogs are often-updated sites that point to articles elsewhere on the web, often with comments, and to on-site articles. A weblog is kind of a continual tour, with a human guide who you get to know. There are many guides to choose from, each develops an audience, and there's also comraderie and politics between the people who run weblogs, they point to each other... "
Techlearning > > Education Web Logs > August 1, 2003: "Web Logs [also 'weblogs', or, more commonly, 'blogs'] offer an exciting personal way to express opinions, communicate ideas, and share interesting links. Thanks to free blog publishing software that masks the programming code underlying Web Log creation, virtually anyone can 'blog' or practice 'blogging,' that is, create a Web Log and update it with daily postings. Integrating blogging activities into language arts curriculum in a meaningful way, however, does require planning." My comments: Oops. My mistake. It's at 22:00 Spanish time. Here's the e-mail that Barbara has used to publicise the event. Please copy and send it to anyone you think my be interested. Join Graham Stanley and Bee Dieu at the Euro Language Forum (ASO) *. Discover their blogging connections and examples on how to involve your students in reflecting, writing and publishing online. Barbara Dieu teaches English at the Lycée Pasteur, a Franco-Brazilian school in São Paulo, Brazil and has been blogging with her classes since March. TAPPED IN, please login 10 minutes before the ASO event is scheduled to begin. This will allow us to get you where you need to be. My comments: This Sunday at 2.00pm (Spanish time) I'm joining Barbara Deu (see link to her wonderful class weblog Bee Online) for an online presentation about using weblogs. I've not been involved in one of those before, so I'm quite excited about the prospect. I'm too tired to search for the links (for anyone who wants to join us), tonight, but I'll post them tomorrow. "Watch out for the undoubtedly sixth-grade-style tendency to choose the brightest, most annoying, flashing graphics available anywhere on the Web"
"For people at groundlevel in education, the Weblog is becoming the Web-presence of choice; educators and students alike are taken by the blog's advantages over the traditional Website - without being radically different, the date-stamped blog structure lends itself to regularly updated personal records and comments on current Web-based resources, with quick and visible responses from other bloggers; this easy interaction facilitates the development of learning communities. Although the blog may be simply presented as 'a place to write, nothing fancy', early-adopters are beginning to explore the use of the genre as a teaching/learning tool in educational environments around the world." My comments: The weblog's in Icelandic, so I can't understand it, but you can get the gist about how it works by taking a look at the page. This type of weblog is closer than any I have seen to the blog that I would like to use with my students of Tourism this year. "All students in the course...could write to this weblog but it was not obligatory to participate, this weblog was for discussion about the projects of individual students and this was the place where the students who wanted comments about the project they were working on asked for comments. It also turned out to be the spot for social talk between students where they joked and informed each other of stuff they wanted to broadcast." Learning Environment: "There is real danger in trying to build academic on-line environment...by imitating the structure of a traditional university class or an university building where fixed groups gather at fixed hour at a certain place ...places where the build-up of knowledge networks by individual student is discouraged and where communication with the outside world is blocked. " One aim of a portfolio is to promote reflective practice in teaching - The portfolio becomes a process, not just an idle snapshot. Reflective practice and improvement is a part of good teaching"
My Comments: The rationale behind the use of weblogs is to help the promotion of metacognitive skills, and contains some interesting predictions for possible future uses of weblogs. A weblog of my experience preparing the final project of my M.Ed. ELT & Educational Technology dissertation. My comments: I have added (bottom left) a Google search button to the site. This makes looking for specific posts a lot easier - Rather than have to trawl through the archives looking for something you remember seeing some time ago on this site, you just put in the topic and Hey presto! My comments: It's a blog written by a trainee teacher in the UK (PGCE student), and although not related specifically to ELT, it might be of interest. 1. "Make a funny or crazy story!" 2. "Sharing what we learned!" BlogTalk - A European Weblog-Conference: "What is a weblog? A weblog is a form and a format: a frequently updated website containing entries arranged in reverse-chronological order. But this simple form is infinitely malleable, and weblogs have huge potential for professional and private use. Easily maintained via computer or mobile devices, weblogs are organizing businesses, creating and strengthening social ties, filtering the World Wide Web, and providing a platform for ordinary people to publish their views to the world. (Rebecca Blood) "
My comments: Rebecca's blogtalk for the conference in Vienna, May 2003. "I hope to provide some examples of the ways we can use our weblogs to bring together people--and ideas--which normally would not mingle." "When I began Rebecca's Pocket, I think there were 50 other sites that called themselves weblogs. By 2001, only two years later, there were hundreds of thousands." tesolunimelb.blog-city.com: "This is the Blog of a wonderful group of TESOL postgraduate students at the University of Melbourne." My comments: I thought it might be a good idea to look at some specific learner blogs to see what students have written about. General comments: It's obvious that Laura has had a lot of fun with her blog, and she's taken time to change the design several times. Unfortunately, the links to most of her archives don't seem to work, so we can only see a small sample of the postings. She has also started to use the weblog as an HTML project, and she mentions having started using the webpage design programme 'Front Page' (I'm sure some of her motivation to learn Front Page and HTML has come directly from having a blog). "Hi people!!!! How are you today??!!! Today was a give back test day ( I don't know if it's right... I have just invented this adjective, like in class )!" Content: Laura's last postings are about what she did at school, reflecting on tests, what happened in class, etc. She also addresses her teacher and some of her friends by name directly on the blog, so she obviously has a good idea about audience 7 readership. Learning Circuits -- ASTD's Online Magazine All About E-Learning: "E-learning can create huge change in an organization, so implementers can expect to face some resistance. Two key strategies can help you deal with push-back: championing and communicating"
It's funny how I've stuck with www.blogger.com even though there are lots of other weblog publishing systems. Curiously enough, I have got so far as downloading software and thinking about getting to know other systems, but the idea of going through another learning curve and spending time getting to know them has put me off. I am comfortable using Blogger now and this is the reason why I'll be using it with my students this year. I know I have read about Blogger's supposed limitations, but it seems to me the appropriate system to use in ELT. It is very easy to use and reliable. I was tempted early on by School Blogs, and even set up a weblog with them, but there were problems half of the times I tried to access it (it seemed as if the server was down), and the last thing you want (especially if you are planning to use weblogging in an Internet classroom with students) is for that to happen. I would be interested in hearing from anybody who has used other weblogging systems - what is it that attracts you to them? And are they i) easy to use and ii) reliable? I have now set up the blog I intend using with my ERASMUS course students. You can find it here, although it won't be in use until mid-September. It'll be interesting to see how they take to it, especially as they are mixed nationalities, from very different backgrounds and studying a wide variety of things. None of them are actually studying English, by-the-way, but they will get the opportunity to use the blog as a forum for any doubts they might have about Spanish or Catalan. Mandarin Design Daily:The MEG Blog: "Blog tips, tricks and cheats"
My comments: A good place to learn how to jazz up your weblog. Converge: "Why do some students resist participating in course discussion boards when they know their grade will suffer? How can students with polished social skills come across in online courses as uncooperative and unengaged, with short postings of little substance? What causes this? Can it be fixed?" My comments: Some thoughts on what makes some students reluctant to post to weblogs, etc. The reasons Tim dotson suggests are logistical, personal, educational and instructor-related. The article also has suggestions on what to do to encourage 'Johnny' to participate. BlogSpeak - FREE remote commenting system for Blogger based weblogs. My comments: I am thinking about trying this out. The ability to add comments under each posting is a nice way of making a weblog more interactive. It's probably of more use than the side-bar comments box I've been trying out. "There is not a "right" or a "wrong" way to post. This is an area that is wide open for exploration of learning possiblilities for both students and teachers..."
"Although you will probably begin by creating a weblog for your own use, keep students in mind throughout the process. Students need lots of practice engaging in exciting, collaborative learning activities where they have to discuss, think, contribute, read, and write. Weblogs are a perfect place for this so include them in your thoughts and planning." My comments: Here are some great tips for those who are new to weblogging and want to know where to start. I recommend that you go and take a look at the other comments as it's a clear and well-informed introduction. Well done Anne Davis! Be sure to check out her Edublog Insights too. 1. Divide up the keywords or study questions associated with a textbook chapter or a story among class members. 2. Each student posts the �answers�. This enables each student to make a key contribution toward the combined class �study notes,� which are posted online and available to all. 3. The winner can have an online prize (an online card or a virtual chocolate!)" My comments: This weblog has some interesting posts, but not really relevant to ELT, more to weblogging in general. EdBlogger Praxis: "What about blogging for younger students? How can an edublog be utilized in a primary classroom? I wish I had the answer to that question, but that is what I plan to find out this year." teaching very young learners and wonder about the possibilities of using a weblog with them. you can find more of Mr. Wright's comments about this here. My comments: There is some very interesting debate going on here about the nature of using blogs with students and how certain types of weblogs might affect the teacher-student relationship. Especially when students come across personal blogs written by their teachers. Perhaps it's not as important an issue for those of us involved in ELT, especially in the communicative language learning classroom circumstances where learner-centredness has taken a higher priority, but it make fascinating reading anyway. I suppose that it's always good to bear in mind that whatever you publish on the Web, be it in a weblog or not, could conceivably be read by anyone. I mean it's not like we're writing in a private diary, although some webloggers publish very personal things. This should be made clear to our students if we are encouraging them to write in weblogs, that they shouldn't write anything they might be embarrassed about or could later regret. My comments: There are some useful points here (summarised above) with examples to illustrate the principles, for anyone interested in posting to weblogs. Although it won't get going until mid-September, I have decided to try using a weblog as part of the ERASMUS course I teach every year. I think it will be a good way of getting to know the students, and a learner-centred way of increasing communication between students, as well as an easily-monitored evaluation tool. There are more details on the web-site. My comments: I have recently become quite an active blogger on Bee's class weblog - I was invited to post comments, and have been pleasantly surprised by the level of response from the students. Their level of curiosity seems to indicate that intercultural blogging might hold a lot of possibilites. I still want to organise an intercultural weblog project with my Tourism students to see how this can be exploited.